Wall murals graphics with no overlap ? Polycril Canvas is an ideal solution for your wall graphics. 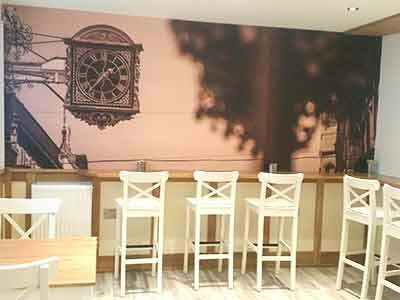 Wall murals wrap with Polycril canvas is a 100% polyester media with a canvas appearance. Great for large wall graphics, pasted using wallpaper paste. Polycril Canvas Prints have the look and feel of wallpaper, with the advantage that there are no join lines to spoil the finished outcome. Another advantage is that fewer joins mean less chance of damage to the edges, resulting in a mural that stays looking good for longer. Printing wall spaces in one piece also eliminates colour issues which can happen when tiled wallpaper is used. This canvas prints are particularly suited to flat or curved wall spaces, as it conforms perfectly & lies flat. It’s printed from a roll allowing us to print major wall in one go. 3 metres in high by whatever lenght your wall can be. A blockout version is available for use when the surface to be covered is painted. The extra opacity is ideal for peace of mind, as there will be no show through from underneath. The finish of this wall murals product is more fabric based in feel, as opposed to a smooth vinyl finish, resulting in a softer tactile effect, which is more in keeping with interior décor. 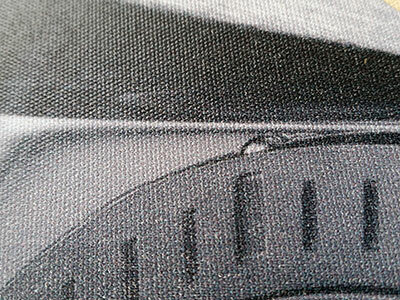 The crack free top coating, provides an excellent print surface, and the media comes in natural or white finish. Rafa is tear resistant, and provides a robust solution for commercial decor projects. 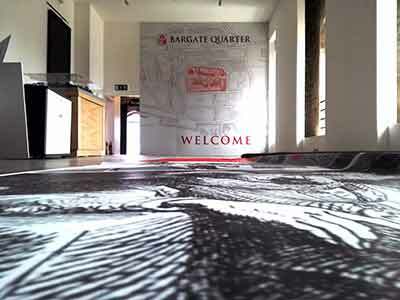 Our installation team can fit any Prints to commercial wall spaces. 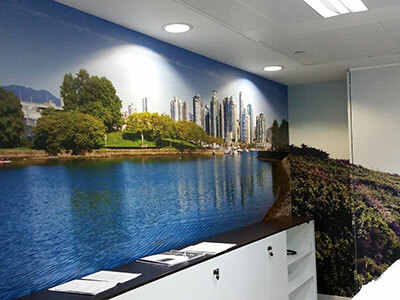 Rafa Canvas Prints provide architects and designers with the perfect solution to dress large wall areas seamlessly.